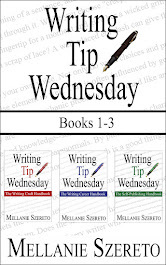 Besides writing, authors must also work on the marketing and promotion aspects of publishing. Updates to the website, blog, and other social media can be as time consuming and labor intensive as writing the book. However, they’re a necessary part of the process and may increase discoverability (and sales). Start with a list of all internet-related websites, pages, profiles, and personas. As release nears, a cover reveal, blurbs, and excerpts can be posted to the author’s blog and Facebook fan page. Yes, a fan page rather than a profile. Although recent events have caused an amendment in Facebook’s “real name” policy, personal and professional posts are best kept separate. Post book titles, release dates, covers, blurbs, and/or excerpts on the website. Release dates don’t have to be specific until the day is close. Example: Coming in 2015 or Coming in Spring 2015. As the date nears, gradually pinpoint a month and day. Post teasers and information about the book on social media outlets like Facebook, Twitter, Google+, etc. Create Facebook and Yahoo book discussion groups if that’s of interest. Remember—choosing a few options and doing them well is better than doing them all poorly. This is also a good time to update front and back matter in other self-published books. Add the new book to the “Other Books by the Author” page. The link can be added during step #14. Make any changes to the author bio and tackle mistakes found by readers and reviewers that haven’t been fixed. Make note of partially completed tasks and keep a list of all the little jobs that will require more attention later in the process. Those memos to self will help avoid “oh, crap! I forgot to...” moments. When all updates are finished or have been listed as to-be-completed at publishing time, check off #8!